It’s not easy being a man today, is it? Adding to the stresses of everyday life, society gives men many mixed and conflicting messages about manhood and how a man is supposed to be. These mixed messages create conflicts in men. They’re also shown to lead to increased stress, poor self-esteem, anxiety, depression, substance abuse, and poor relationships. These problems, left unchecked, only worsen. There’s no need to struggle with men’s issues alone. Especially when there are effective strategies for resolving them. 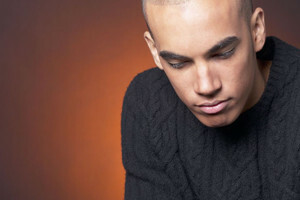 Click here to learn more about counseling and psychotherapy for men’s issues. To read more about the conflicting messages men receive and the effects they have on men, click here. Want help with men’s issues and to feel more comfortable in your own skin? Click here for more information. “Talk therapy” – or psychotherapy or counseling – is a proven effective way to address men’s issues, and to feel better about yourself and your life.